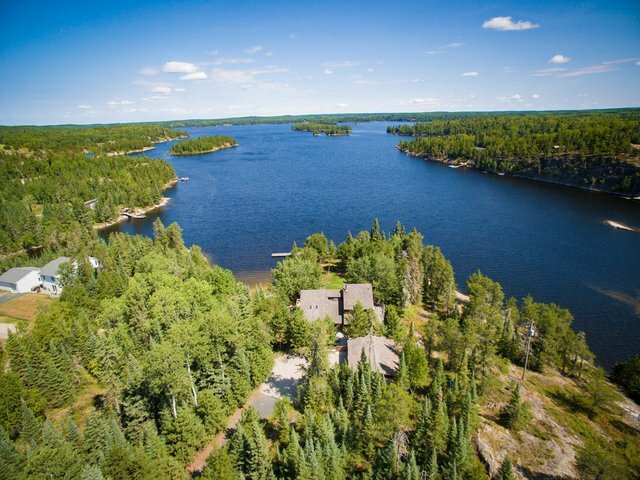 This year-round home on Black Sturgeon Lake is located minutes from downtown Kenora. Originally built in 1988, this six bedroom, four bathroom home has approximately 5,300 square feet of living space over two floors and a lower level walkout. The attention to detail will not go unnoticed in this meticulously cared-for residence. 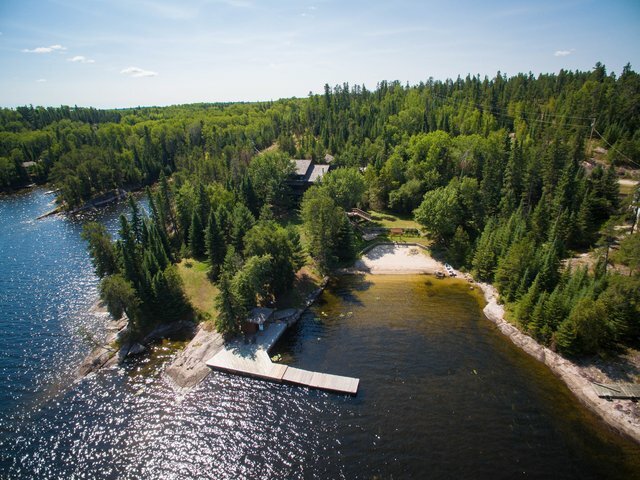 The home is located on one of the most private lots on Black Sturgeon with just over 280 feet of North facing waterfront and crown land to the East which means the privacy of this location is second to none. You will find your very own private sand beach which is also fronted by a large dock that is partially floating/crib construction. The lot is very low profile to the water for easy accessibility to this amazing lake. As you approach the home from the triple stall garage, you will find a beautiful garden with a BBQ station located directly off the back door. Once you enter the home, an open concept entrance way will lead you to the kitchen, formal dining area and family room. The other hallway leads to a rec room that hosts a wet bar and pool table in a study-like entertaining area. Opening the French doors will allow a clear entrance to the 180 square foot screen room or head back to the family room and enjoy the many different lake views through recently improved windows taking in a clear view of the lake. The home is heated with a forced air oil boiler, in-floor radiant heat and a back up forced air furnace system all located neatly in a small section of the workshop in the lower level of the house. Main floor laundry room, custom wine cellar and an indoor sauna are just a few of the features you will find along with plenty of storage located throughout the home. This year-round home/cottage is a must see if you are looking to get away and just relax in your own private paradise. Inquire today!